Social Platform, a platform of NGOs working in the social sector, wanted a fresh, clean design for their guide to the EU’s Public Procurement Directive – Public Procurement for Social Progress. 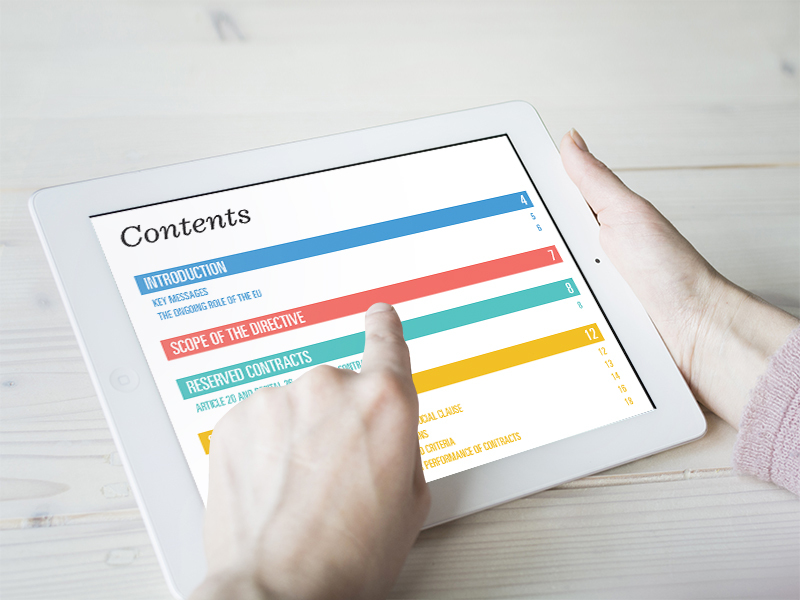 The PDF guide – produced in English, French, Spanish, German, Croatian, Italian and Portuguese – incorporated an interactive menu on each page to enable easier navigation around the document. View the full guide on Social Platform’s website here.